Enjoy a new experience in your training sessions with a rowing machine which easily adapts to any user. 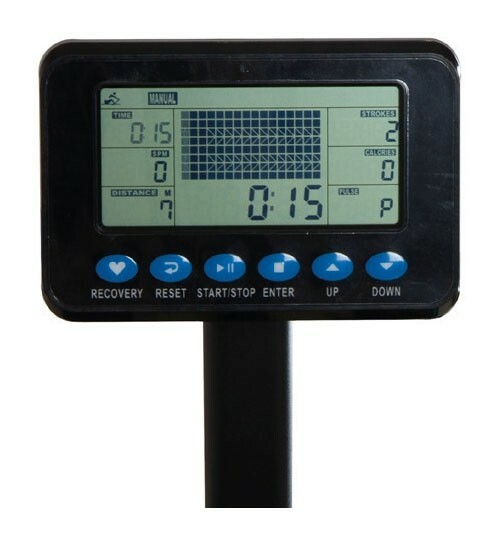 It is BH’s first water rower with up to 6 resistance levels and adjustable footrests. Fill the water tank between 1 and 6 levels to adjust the resistance level in your training. Establish a distance-time goal and try to beat your own records. 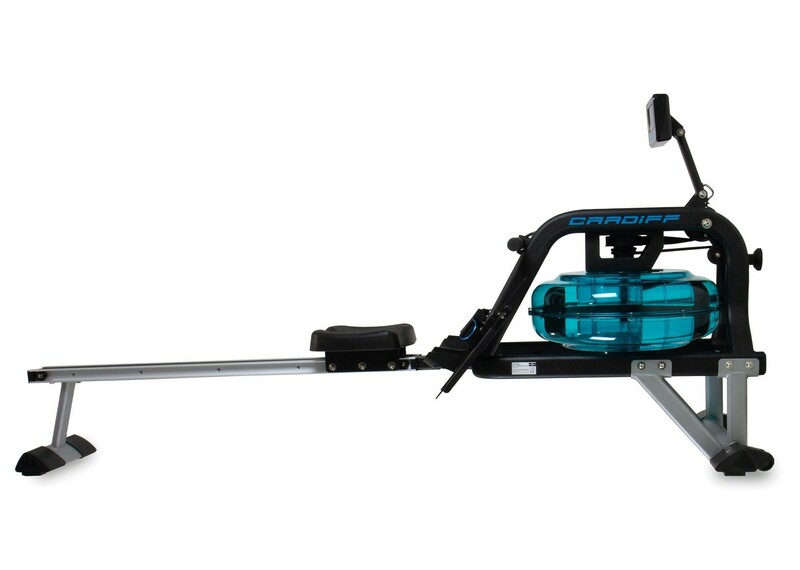 Thanks to its 3 upholding points, you will be able to store the rower vertically in a safe and stable way. Adjust the pedals according to your foot size for a comfortable and safe training.